If you’re thinking of filing a hernia mesh lawsuit, you are not alone. There are tens of thousands of people like you who have suffered excruciating, debilitating pain and disability as the result of hernia mesh they thought would be safe and effective in treating their conditions. Though the effects of faulty mesh can devastate a person for years to come, there is some comfort in knowing your family doesn’t have to go it alone. An experienced medical device injury lawyer can be a huge asset in your time of need. Ethicon’s Proceed Hernia Mesh (2011) – Ethicon voluntarily issued a small class II recall of Lot Number BMG618 as a preventative measure when they discovered a “potential for de-lamination,” in which the layers of mesh could separate, increasing the risk of bowel adhesions. Atrium’s C-Qur Hernia Mesh (2013) – After FDA inspections revealed adulterations and inadequate quality control processes at the manufacturing center, Atrium issued a class II recall on over 100,000 units. The product stayed on the market, but they issued safety alerts to doctors, warning that humidity could cause adherence issues. Ethicon’s Phyiomesh Flexible Composite Mesh Device (2016) – The company decided to pull the product from the global market after a review of unpublished data from European registries revealing higher failure rates compared to other mesh products. They cited a “multifactorial issue” that possibly included “product characteristics, operative and patient factors.” Meanwhile, the first trial involving Physiomesh is slated for January 22, 2018. It is not necessary for a mesh product to be recalled in order to win a lawsuit, but it certainly helps build a case that there were known issues in the design or manufacturing processes leading up to the complications you or your loved one suffered. MDL 2753 for Atrium Medical Corp’s C-Qur Mesh Products Liability Litigation, before U.S. District Judge Landya B. McCafferty in New Hampshire. MDL 1842 for Kugel Mesh Hernia Patch Products Liability Litigation, before Sr. District Judge Mary M. Lisi in Rhode Island. MDL 2004 for Mentor Corp’s ObTape Transobturator Sling Products Liability Litigation, before Chief Judge Clay D. Land in the Middle District of Georgia. The Judicial Panel on Multidistrict Litigation will hold a hearing on May 25, 2017 to discuss the creation of MDL 2782 for Ethicon/J&J’s Physiomesh Flexible Composite Hernia Mesh Litigation. So far, there are 18 similar actions pending in 9 federal district courts, but hundreds more cases are anticipated. Multiple hernia mesh MDLs — comprising more than 50,000 lawsuits — were consolidated in West Virginia before Judge Joseph R. Goodwin regarding similar pelvic repair mesh systems made by Avaulta, American Medical Systems, Coloplast, Cook Medical, and Neomedic. The Kugel Mesh lawsuits of 2011 resulted in average settlements of $70,000 per plaintiff. One of the early trials that went to court resulted in a verdict in favor of the defendant. Jurors found the manufacturer to be negligent in the design of the mesh patch, but said the plaintiff did not provide a direct link between the injuries suffered and the mesh design. However, another bellwether trial resulted in a $1.5 million jury award for a plaintiff who suffered severe internal injuries and a sepsis infection when his hernia patch broke. Whether you decide to settle or hold out to have your day in court will depend on a number of factors, but you will always have a choice with MDL proceedings. Hernia mesh problems years later? Hernia mesh symptoms do not always manifest right away. Sometimes they take weeks, months, or even years to show up. Patients are sometimes misdiagnosed. Contact your doctor right away if you suspect a hernia mesh injury, as the side effects can sometimes be fatal. Complications are usually treated with revision surgeries. Next, contact a product liability lawyer as soon as possible to look into filing a formal complaint. Each state has its own statute of limitations for how long you have to file a lawsuit. In Louisiana, you have one year from the time you discovered the nature of your injury. This is not necessarily two years from the time of your first hernia repair surgery. You may have only heard about hernia mesh lawsuits and settlements from a TV commercial, in the newspaper, or online, so do not hesitate to contact a lawyer to discuss eligibility to file. 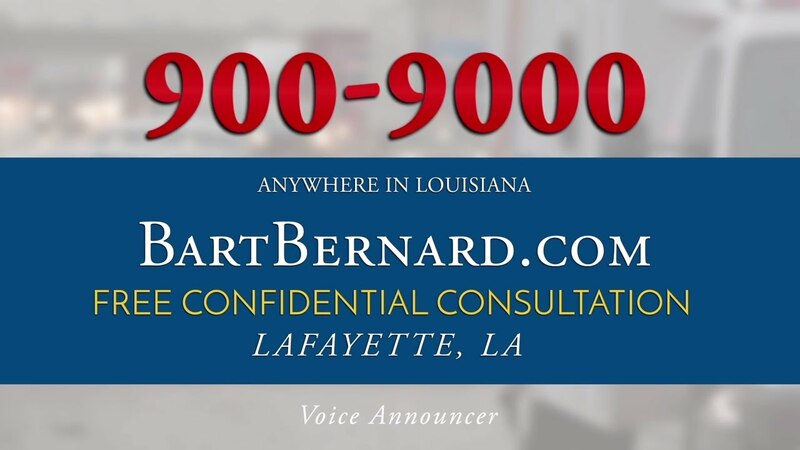 Bart Bernard is a Louisiana native who has been fighting for the rights of injury victims for more than 20 years. His compassion and dedication has taken him to the top, with membership among the Elite Trial Lawyers of America and the Multimillion Dollar Advocates Forum. He has been following the hernia mesh cases from the beginning, and serves as a fierce crusader for people injured by these poorly designed medical devices. Cases are taken on a contingency basis, meaning that all legal fees come from settlement or jury awards, so there is nothing to lose by calling or contacting us online today.